I have taken this week off of running. Not even because I have an injury. It’s just because of the heat wave, down pour of rain, and my body being run down and I don’t want to over stress my system. I don’t even feel bad about it. Maybe I should with my Disney race being only 29 days away and with my training plan is only four long runs away. You have to listen to yourself and make sure that you aren’t making excuses for your lack of training but in this case- it’s not. I promise. Yes, this does sound like a product from a fairytale or even Harry Potter. But- they work! They are a great energy boost and are even tasty! How can you go wrong? Delicious. Another long run necessity is my pink amphipod hydration belt from lululemon. I recently read that another runner is training herself to only drink water at the distances of the designated water stops along the race path. I for one cannot imagine doing that. I mean, if you are training to run with a hydration belt why wouldn’t you continue to use it at the race so that you can just drink water at your own leisure. Unless, the weight of the belt is too much to handle for race day? Either way, I’m sticking with my belt because it also has a handy camera pouch so that I can document the big day. I think my next goal after my half marathon is going to be to run a full marathon. A friend asked me a few months ago if I was going to run a full marathon and I honestly did not think that I could do it. I knew that I wouldn’t wake up the next day and run a marathon but I also could not imagine myself running a full marathon. But a few runs ago I thought to myself seriously for the first time and I realised I can run a full marathon. You can do anything you work for so, why not? Maybe my next goal will be the New York City Marathon or the Boston Marathon. 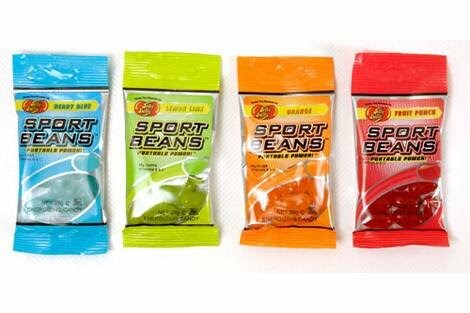 This entry was posted in Amphipod, Jelly Belly Sport Beans, Lululemon by Siobhan McCarthy. Bookmark the permalink.